Exciting things are happening with SugarCreek! 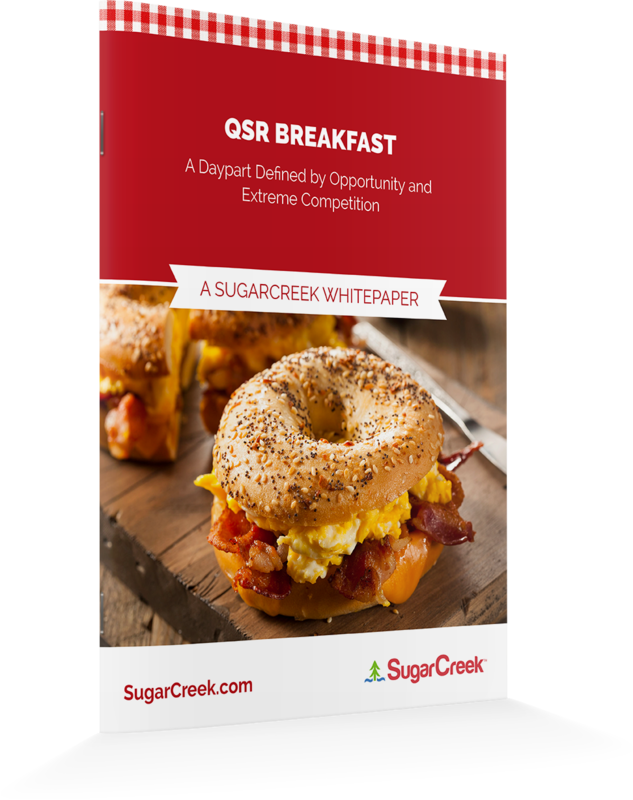 August 2017: SugarCreek set itself up for success by building a state-of-the art facility to handle today's increased demand for breakfast proteins. December 2016: Chef Neville Craw of Arby's discusses the benefits of sous vide for QSRs and Fast Casual and SugarCreek's partnership with Arby's. December 2016: SugarCreek's sous vide production capabilities continue to gain traction as the company continues to reinvent itself and the industry after 50 years of success across a variety of proteins and distribution channels. November 2016: Sous Vide is changing the way America eats. October 2016: CIO, Ed Rodden discusses the focus on IoT (Internet of Things) initiatives. September 2016: Richardson describes the Cambridge City facility (CCI) as a “game-changer” for SugarCreek and the food industry, and visitors who toured the facility at today’s ceremony saw why. September 2016:Refrigerated & Frozen Foods adresses how flexibility, trust, speed to market and available capital are key ingredients in selecting a co-packer/co-manufacturer. September 2016:National Provisioner's 2016 Bacon Report featuring SugarCreek COO, Michael Richardson. August 2016: FSR Magazine talks with SugarCreek about big flavor trends, clean label and sous vide. June 23, 2016: Food Processing walks through our newly renovated Cambridge City, IN facility. June 20, 2016: Continuing to lead the way as a diversified, innovative and flexible food manufacturer. June 16, 2016: SugarCreek has built its sterling reputation for quality on some of the most sophisticated, advanced, and innovative systems in the food industry. In 2015, it opened what is quite possibly the world’s most technologically advanced food processing, cooking, and packing plant in Cambridge City, Indiana. It is also the largest manufacturing facility in the United States for sous vide, an increasingly popular water-based, slow cooking method that provides higher yields and nutritional content, better consistency, and superior quality when compared to traditional cooking methods. April 15, 2016: Our newest, high-tech plant is poised for growth as consumers demand more sophisticated RTE food products. March 30, 2016: SugarCreek is also using NSX with VSAN in Cisco UCS hardware, which combines compute, storage and networking in a single system. The company will use the technology as the core of a new data center and disaster recovery site, both scheduled to open in mid-May. March 14, 2016: "Dollar sales of bacon have fallen, but volume continues to grow roughly a decade into the bacon craze." March 11, 2016: "For many families, the weekday morning rush allows little time for breakfast, so portable convenience foods are flourishing." February 29, 2016: "Big data. The Internet of Things. Smart devices. Advanced robotics. The manufacturing world is abuzz with the promises of increased productivity, better information and improved margins at the metaphorical hands of these technological advances... Ed Rodden of food processor SugarCreek can tell you that connected devices will aid in building a safer workplace." February 15, 2016: "SugarCreek's facility in Cambridge City, Indiana incorporates many attributes of a food manufacturing plant at the forefront of technology, not only with its unique product offerings, but with its high level of automation, food safety systems and employee engagement programs, plus its emphasis on sustainability," said Joyce Fassl, Editor in Chief for Food Engineering. February 18, 2016: SugarCreek will demonstrate how food innovation spans from bacon and meatballs to large scale sous vide products at the Annual Meat Conference (AMC), held February 21-23 at the Gaylord Opryland Resort & Convention Center in Nashville, Tennessee. January 27, 2016: SugarCreek will implement VMware's NSX network virtualization software and Cisco's Application Centric Infrastructure (ACI) in two data centers for microsegmentation and automation. January 25, 2016: VP of Manufacturing, Dan Sileo, jumped on the airwaves to talk about the early success of SugarCreek in the Gateway Industrial Park outside of Cambridge City. January 11, 2016: SugarCreek named 2016 Refrigerated Foods Processor of the Year by Refrigerated & Frozen Foods. January 4, 2016: If your IT organization isn't working to integrate manufacturing with the rest of your enterprise infrastructure, you're hurting the bottom line. Here's how SugarCreek is bridging the gap between IT and the factory floor, with positive results. December 28, 2015: "At SugarCreek, we push our IT organization to actively understand the business, proactively look for solutions, and identify trends in the IT world that would put us in the forefront of technology in the food industry," said Ed Rodden, CIO of SugarCreek. December 17, 2015: Greg Flickinger, Snyder’s-Lance, and Dan Sileo, SugarCreek, presented OpX Leadership Network’s Roadmap for Creating a Highly Engaged Workforce to attendees at PACK EXPO Las Vegas 2015. December 8, 2015: By adopting an IoE strategy, manufacturers and supply chain operators across industries can prepare for changes in product demand or packaging design. SugarCreek implemented IoE technologies throughout their facilities to optimize production processes and add new factory capabilities. December 2015: As passenger numbers continue to rise, so are the expectations of those onboard, leaving suppliers with the task of meeting the increased desire for luxury offerings inflight. Sous-vide can make this possible. November 2, 2015: Food manufacturer SugarCreek recently gutted a 70,000-square-foot facility and expanded it to more than 400,000 square feet. Along the way, the building received a complete technical upgrade to equip it for the Internet of Things, giving SugarCreek capabilities that were pipe dreams only a few years ago. Sous vide – a process involving water-bath cooking, a French term meaning “under vacuum” – can save time and labor, and boost consistency in food prep, Layman said. He was joined by Ampac’s Millie Nuno, speaking on the benefits of flexible packaging. Thursday, October 15, 2015: See how engaging your workforce can increase customer satisfaction and drive productivity in this webinar hosted by Food Engineering and OpX Leadership Network, featuring our VP, Manufacturing, Dan Sileo. October 8, 2015: SugarCreek CIO, Ed Rodden, discusses how the Internet of Things plays a central role in a Cisco project involving SugarCreek. September 30, 2015: The leaders of the $650 million company, the nation’s largest independent bacon processor, don’t put themselves on a pedestal. September 21, 2015: In the unassuming city of Frontenac, a rural town in southeastern Kansas that’s situated in a region flanked by railroad tracks and perhaps better-known in past decades for the prevalence of strip mining for coal, SugarCreek has quietly operated one of the Cincinnati, Ohio-based company’s most productive bacon processing plants since 1982. September 17, 2015: SugarCreek will be exhibiting for the first time at this year’s International Flight Services Association (IFSA) Conference and Expo in Portland, from September 28-30. September 3, 2015: The Fayette County Family YMCA and Sugar Creek Packing will be celebrating 15 years of the YMCA Kid’s World of Learning (KWOL) with an open house. September 2, 2015: Contrary to some published reports, Americans' love for bacon is stronger than ever. SugarCreek's COO, Michael Richardson, discusses how bacon is still very much on trend. August 20, 2015: Food Processing Magazine talks about our Cisco technology investment at our new Cambridge City, Indiana facility. August 2015: VP, Manufacturing, Dan Sileo and Amor Inox Technician, Belinda Bergen discuss our new facility in Cambridge City, Indiana. June 2015: CIO Ed Rodden talks about "Disrupting Ourselves For The Future"
June 8, 2015: SugarCreek CIO Ed Rodden shares the company's plans for the factory of the future, fully connected to the Internet of Everything. June 5, 2015: A Cincinnati company known for its bacon is branching out with more food offerings as it prepares to move into its new $50 million Fairfield headquarters. May 27, 2015: Ohio-based SugarCreek told Bloomberg News that it is working seven days a week to fill orders and now projects a 15 percent jump in sales this year. May 19, 2015:SugarCreek’s sales will jump 15 percent in 2015 as its five packaging plants around the Midwest operate seven days some weeks to keep up with demand. May 15, 2015:The first production line at Sugar Creek in Wayne County will open on July 6, and a second line is planned for late July with a third in late August. May 2, 2015:SugarCreek launches first internship program. April 21, 2015:SugarCreek's Lance Layman discusses the European cooking technique called sous vide. March 17, 2015:Watch SugarCreek assemble the nation’s largest sous vide line in two minutes with this time-lapse video. January 7, 2015:The centerpiece of the new plant will be commercial-scale sous vide cooking operations. January 6, 2015:SugarCreek, a diversified food manufacturer, announced plans to open a new 435,000 sq. ft. facility in Cambridge City, Ind. (CCI) at a reported cost of $120 million.